Freddie Gray, who died in the custody of Baltimore, Maryland, police last month, sparking riots that engulfed the city in flames, was arrested for carrying what police said was an illegal knife. Weeks later, Baltimore's top prosecutor, Marylin Mosby, declared the knife was "lawful under Maryland law" and announced the indictments of six officers in his death. The definition of an illegal blade is also deeply contested in New York City and, although the NYPD makes thousands of knife arrests each year, few cases are ever proven in court, the I-Team has learned. Over the last decade, the NYPD has made more than 82,000 arrests where fourth-degree criminal possession of a weapon was the most serious charge. Most of those arrests involved possession of blades. In that same time, there have been just more than 15,000 convictions, which amounts to about 18 convictions for every 100 arrests. Most often, the knife cases were pleaded down to non-criminal violations or adjourned in contemplation of dismissal, which means the charges were dropped if the defendant stayed out of trouble. Robrish and other defense attorneys say the NYPD is unfairly interpreting that language to mean any folding pocket knife is illegal as long as an officer can open it with one hand. “Centrifugal force is what the statute is defined by, so that’s been interpreted by the police to mean with a flick of your wrist,” Robrish said. Jonathan Worthley, a sculptor who uses blades as tools to help create his art, was arrested in 2013 for carrying what police deemed was an illegal gravity knife. Worthley says the arresting officer seemed to have practiced opening folding knives with one hand. “He did a little trick. He somehow made it open. He flicked it open with his thumb. He had practiced. It was definitely not a gravity knife,” Worthley said. After a judge dismissed the case, Worthley sued the NYPD and won a $7,500 settlement. Worthley’s attorney, Richard Holzberg said the case demonstrates the NYPD’s interpretation is out of step with the rest of the state. “It’s only in New York [City] that the common folding knife has been deemed illegal,” Holzberg said. Detective Cheryl Crispin, a police spokeswoman, did not comment on Worthley’s case or the relatively low number of convictions when knives are the most serious charge. In an email to the I-Team, she defended the department’s interpretation of what a gravity knife is. 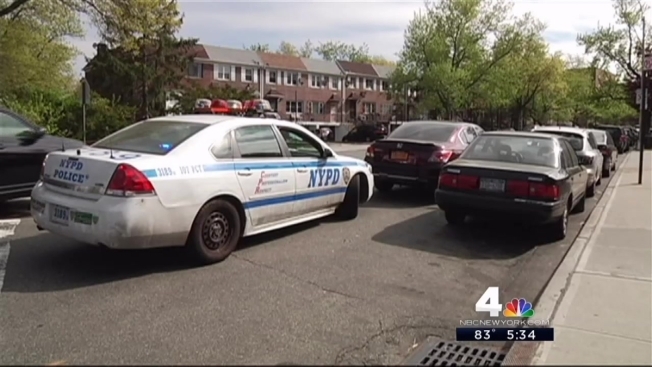 The I-Team reached out to all five New York City district attorneys. None have commented. Statistics suggest the NYPD has been more aggressive than police departments in the rest of New York State when it comes to making knife arrests. Even though the city’s population is less than half that of the rest of the state, the five boroughs accounted for more than 82 percent of all the cases where fourth-degree criminal possession of a weapon was the top charge. Robrish says the drastic variation in how different police departments enforce the gravity knife provision shows the law should be revamped and clarified. She said she fears the law as written could lead to dangerous police encounters because people with folding knives don’t think they’re doing anything wrong. “The individual doesn’t see themselves as doing anything wrong and this stop by police probably feels very intrusive and unfair,” Robrish said. I think that just creates a tension in the community. Last year, Democratic Assemblymember Dan Quart, who represents the Upper East Side, introduced a bill that would have changed New York state law, requiring some criminal intent for a gravity knife to be deemed illegal. The bill passed the Assembly but stalled in the Senate. Quart reintroduced the bill this year. It is awaiting a vote.